The rising main is connected directly to the calorifier, water heater or plate heat exchanger. Since the water in the system will expand due to heating, an expansion vessel and a safety temperature and pressure relief valve are required. 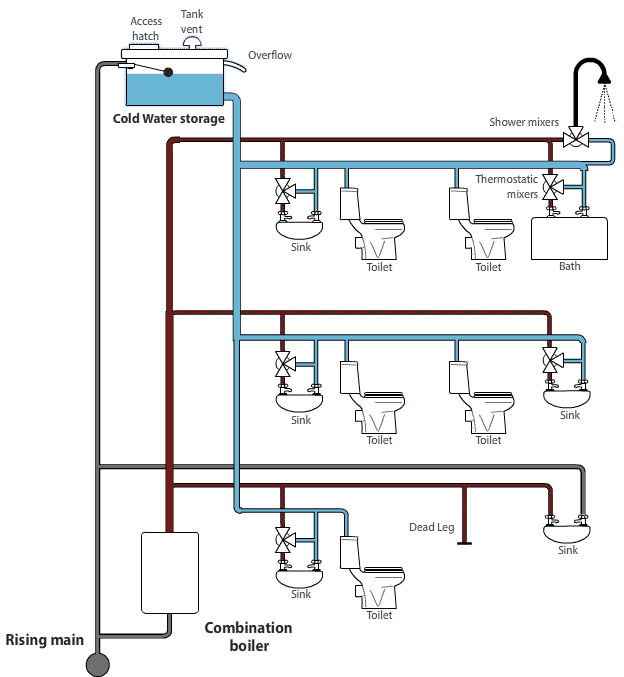 Hot water distribution from pressurised systems can be used in both recirculation and non-recirculation systems. The latter is commonly found in houses with combination heating and hot water (combi) boilers. Cold water storage may supply water to some or all outlets.